Submerging Markets™ : Haiti: "As Hard As It Is, There's Good People Doing Good Things Every Day." Haiti: "As Hard As It Is, There's Good People Doing Good Things Every Day." 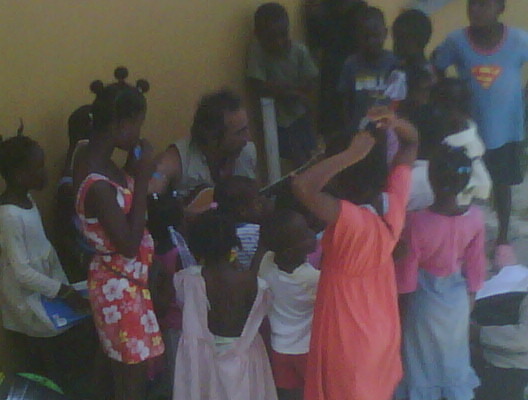 Alfredo Merat, intrepid Hamptons musician and activist, entertaining the kids at an orphanage in Mirabelais, Central Plateu, Haiti, May 11, 2010.